“Honey! I promise I’m going to clean out the garage…” Have you heard this before and then never seen anything change! Probably because the task is overwhelming to start, but it wouldn’t be if you had proper storage in your garage! We can help you tackle your garage mess by installing cabinetry for all your storage needs! We offer our customers a line of cabinetry that is specially designed for garages and we can custom build it ourselves. There is a mixture of laminated plastic, wood, and steel to create shelving in your garage. You can also choose to have open shelving or have it closed off. Either way, they are built to withhold heavy weights! When you hire a professional designer like KM Builders, you are ensuring that the finished project will be durable and look beautiful. The design process will not cost much more than if you opt for no designer with another company because, as a direct manufacturer dealer, we can purchase the products at a wholesale price! Your project will always last longer when you have a professional design and install it. This makes it worth the investment and will great for future resale! 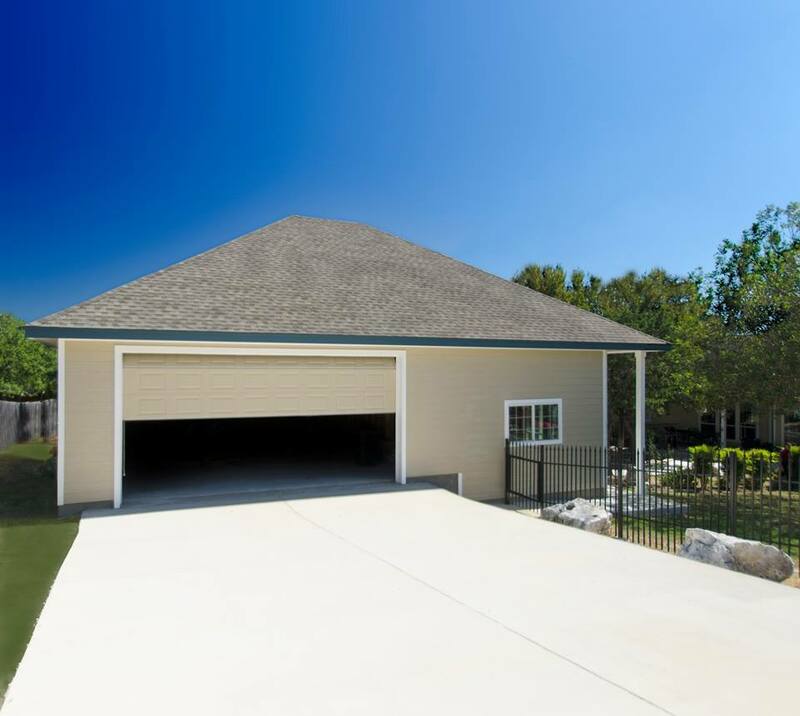 Once you have your beautiful garage storage installed you will be able to park your car INSIDE of the garage and FIND all your tools whenever you need them…and your wife won’t have to remind you to clean out the garage anymore! -KM Builders is San Antonio’s premier remodeler specializing in kitchens, bathrooms and room additions. We boast the largest in-house staff in San Antonio offering architectural design, interior design, and cabinet design for all your remodeling needs!